Valency is excited to be participating in Construction Industry Institute’s (CII’s) Annual Conference. We’ll be demonstrating Carve for PDRI and Construction Readiness. 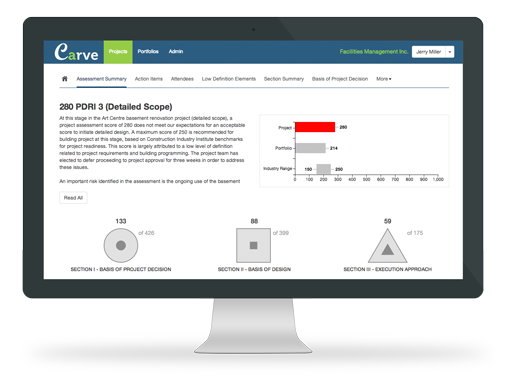 Carve is a cloud-based software tool developed by Valency Inc. for managing best practices in capital construction project management. Carve provides a simple, easy-to-use interface that will guide you step-by-step through selected procedures and provide you with comprehensive reports and benchmarks to aid in your project management. Visit us at booth 202 – we’re looking forward to talking with you about your requirements for implementing CII’s best practices in project management. Valency implements best practices from the Construction Industry Institute (CII) that dramatically improve capital project performance.